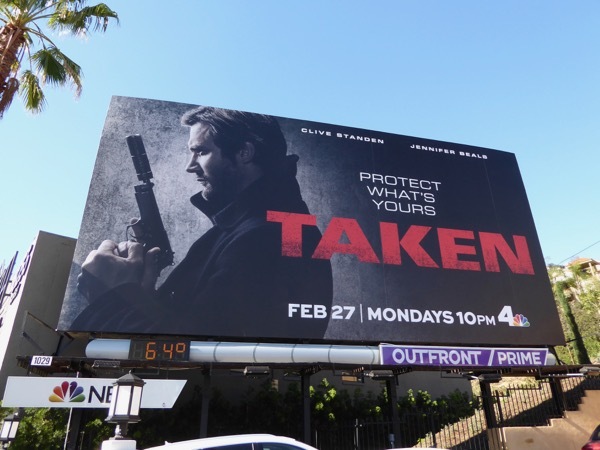 Taken is one in the latest in a long list of film franchises adapted for television, and this time it takes the form of a prequel series to the action movies that originally starred Liam Neeson. 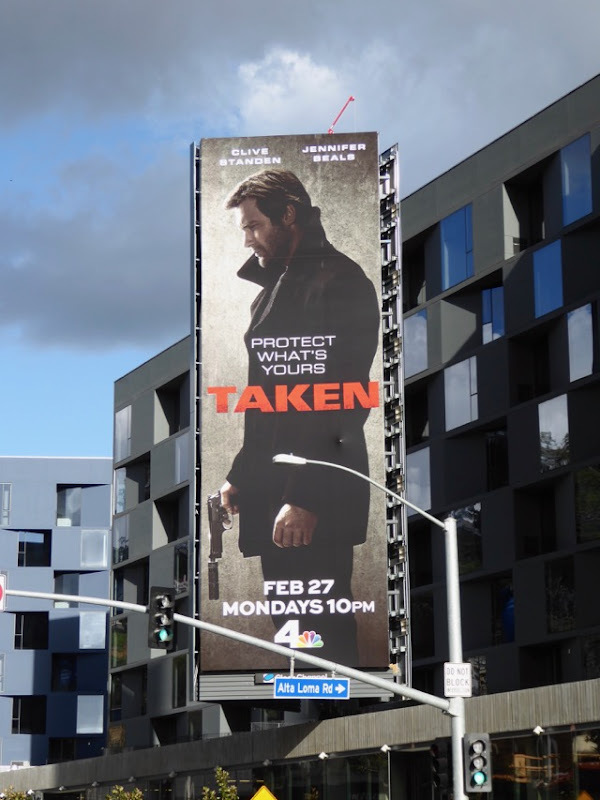 This time around Clive Standen plays the younger, former Green Beret operative 'Bryan Mills' who in the wake of a personal tragedy is recruited by Jennifer Beals to be part of an emergency covert action team. 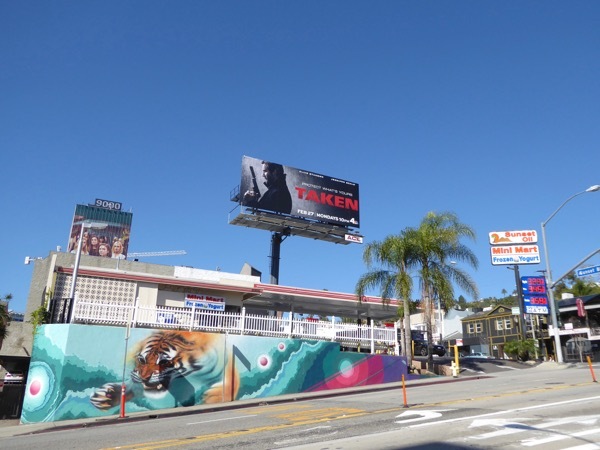 These landscape Taken series premiere billboards were first spied along West Hollywood's Sunset Boulevard on January 17, then snapped later along Highland Avenue and Santa Monica Boulevard through February 14, whilst the portrait version was photographed along the Sunset Strip on February 22, 2017. 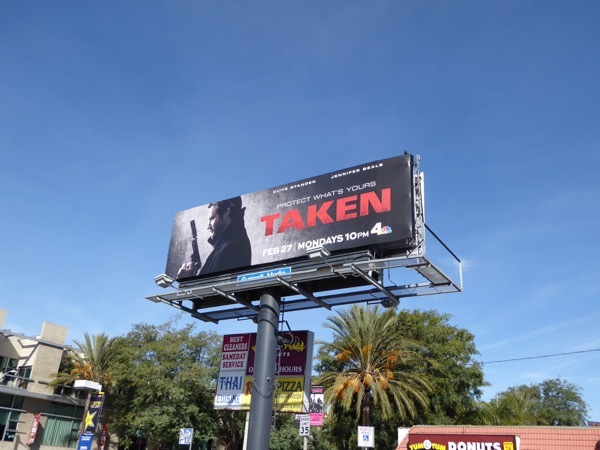 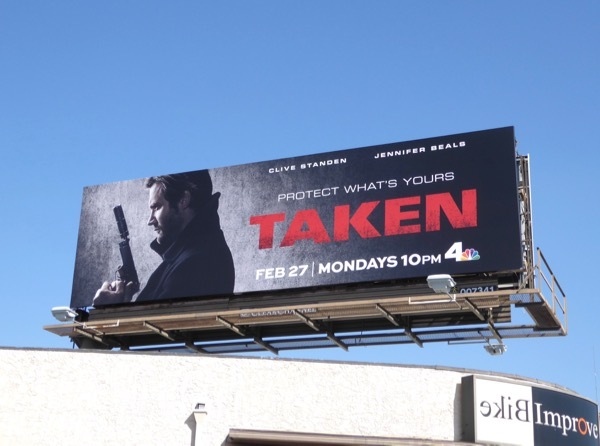 Fans of the original film franchise can also enjoy these Taken 3 movie billboards with Liam Neeson from the beginning of 2015. 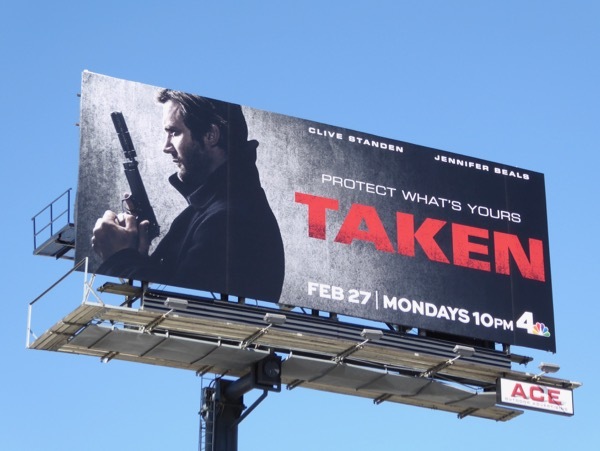 Let's see how Taken fares compared to other TV prequel series like Hannibal or Bates Motel, or whether this spin-off will need a silencer to put it out of its misery.